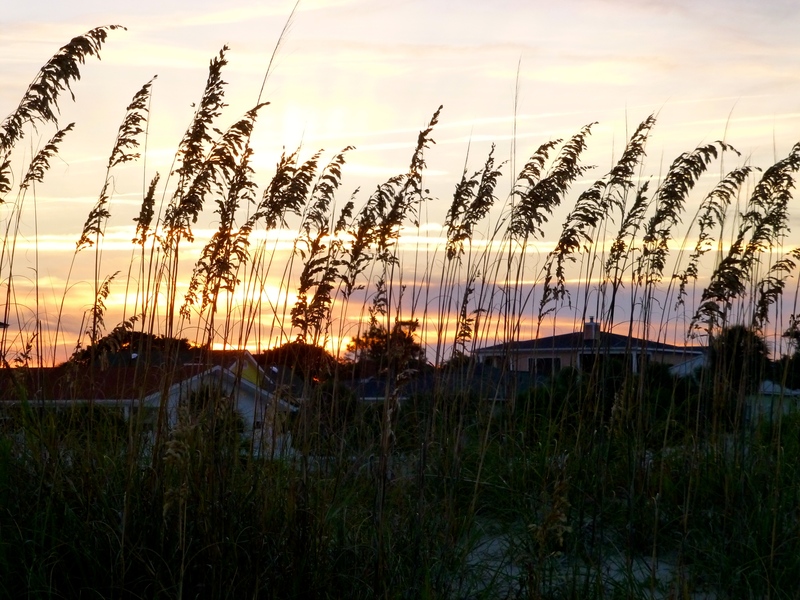 We drove right past our hotel in Savannah and continued to Tybee Island where we enjoyed sunset on the beach. This loggerhead turtle nesting haven was most mellow, though I assume the population swells in summer. After, we had a fun dinner at the kitschy Crab Shack on an inland waterway. Our $40 shared platter was enormous. My crawfish skills are adequate at best. The (Days) Inn at Ellis Square is in a nice location but I would probably prefer to stay some blocks south, say at or near the Ballastone Inn. Jenni was sick so I walked on my own through City Market, east to Johnson Square with City Hall in the background and then I headed south on Bull Street which bisects several impossibly charming squares. Each is filled with live oaks and a statue or memorial, and each time I think I have reached the prettiest I am soon proved wrong. I saw another dog stalking a squirrel in the park, but unlike in Chicago this one’s owner was a hero and not an accomplice. There are many impressive old buildings, churches and homes with wrought iron work. On the south side of Madison Square is shopSCAD (as in Savannah College of Art & Design), well worth a visit for its creative art and home decor. Forsyth Park is much bigger than the various squares, and not nearly as quaint. I sought out Angel’s BBQ and Wall’s BBQ but they were closed, and Wiley’s BBQ was not walking distance. No matter, I met Jenni for a very good lunch at Gryphon (across from SCAD) housed in an ornate old pharmacy. It was not quite as tasty as it sounds, so one of these days I will attempt a better version of the sandwich with peanut butter, honey, home-made granola and banana. After lunch we meandered up Abercorn Street, which like Bull Street bisects a number of squares and also a cemetery. At the northern end we descended a steep staircase to cobblestone River Street lined with shops and bars plus a World War II Memorial. Savannah Candy Kitchen has a huge selection of fudge, caramel apples, etc., and my free sample of praline was scrumptious. The Olde Pink House comes highly recommended but no reasonable dinner reservation was on offer, so instead we got a couple slices at Vinnie Van Go Go’s in City Market. This is a solid, hole in the wall type pizza joint with a counter, some outdoor seats and a little beer on tap. The area was buzzing on a Monday night. We laid low, did some work, watched a Red Sox victory and rested up for another long day on the road. This entry was posted in Georgia, North America, Regions, Uncategorized and tagged Georgia, Savannah, Tybee Island on December 5, 2013 by aleavitt77.